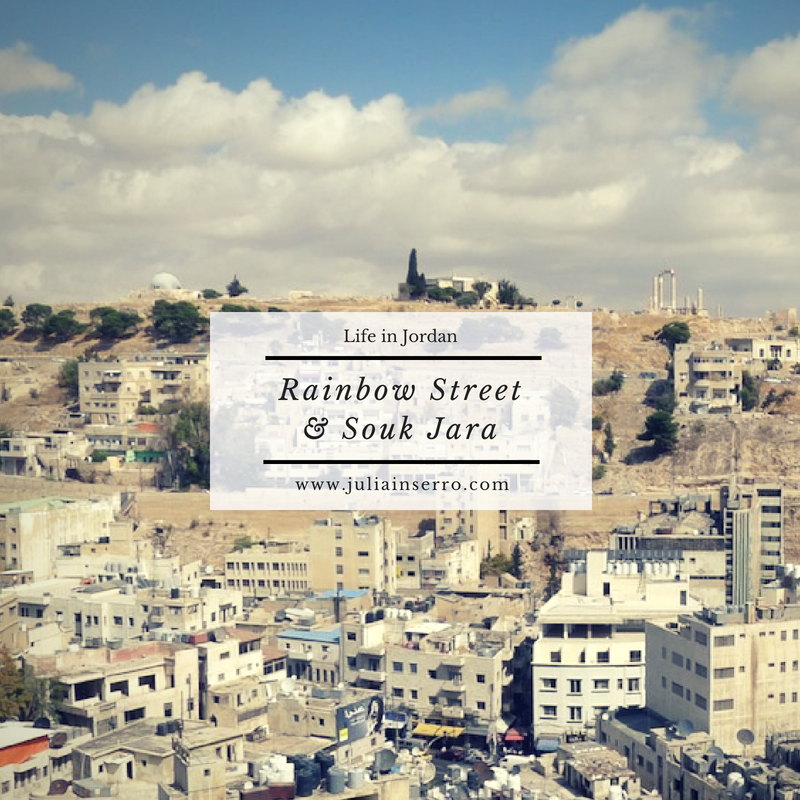 Ever since we arrived in Amman, we’ve heard about the amazing restaurants and bars and shops along Rainbow Street (located just off the First Circle on Zahran Street). If we’d been remotely “cool” we would have thoroughly explored it by now and would be able to regale all its wonder. However, I shall blame our lack-of-cool on having a toddler whose bedtime routine doesn’t allow for too many nighttime explorations (not to mention a pregnancy that often renders me asleep before the toddler). However, we have made a few forays on weekends into just a little of what Rainbow Street has to offer, and I have to agree that it’s a fun day’s outing. 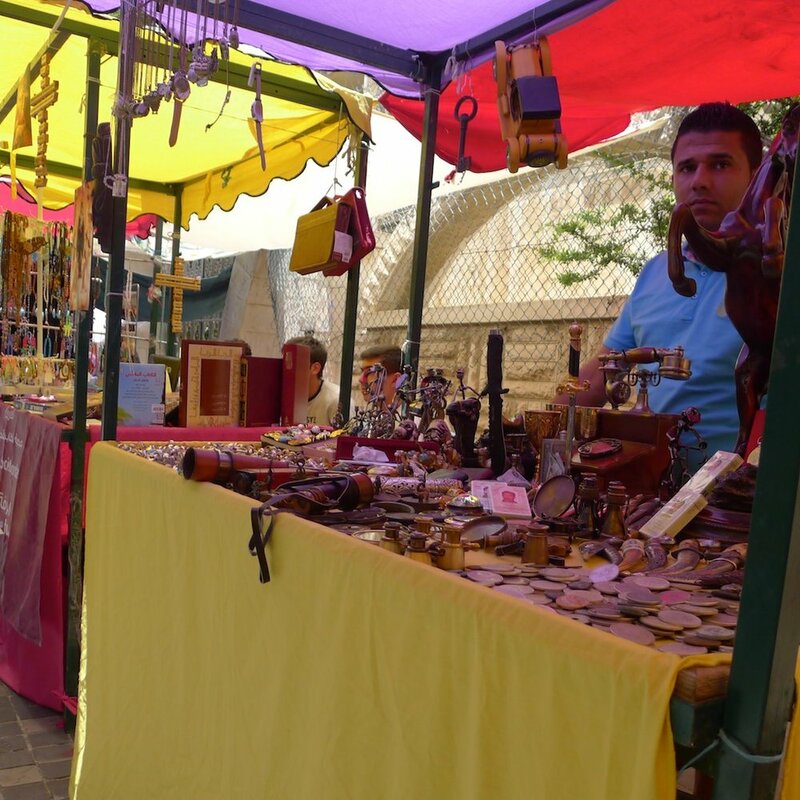 In addition to tons of restaurants, clubs and bars, there are lots of little shops to explore and peruse, including antique shops, book shops, tchotchke and tile shops, and lots of juice and falafel stands. I’m sure there are lots of places to recommend, but in our limited wanderings I can merely point out a few; however, they’re well worth a visit; even with a wiggly toddler. 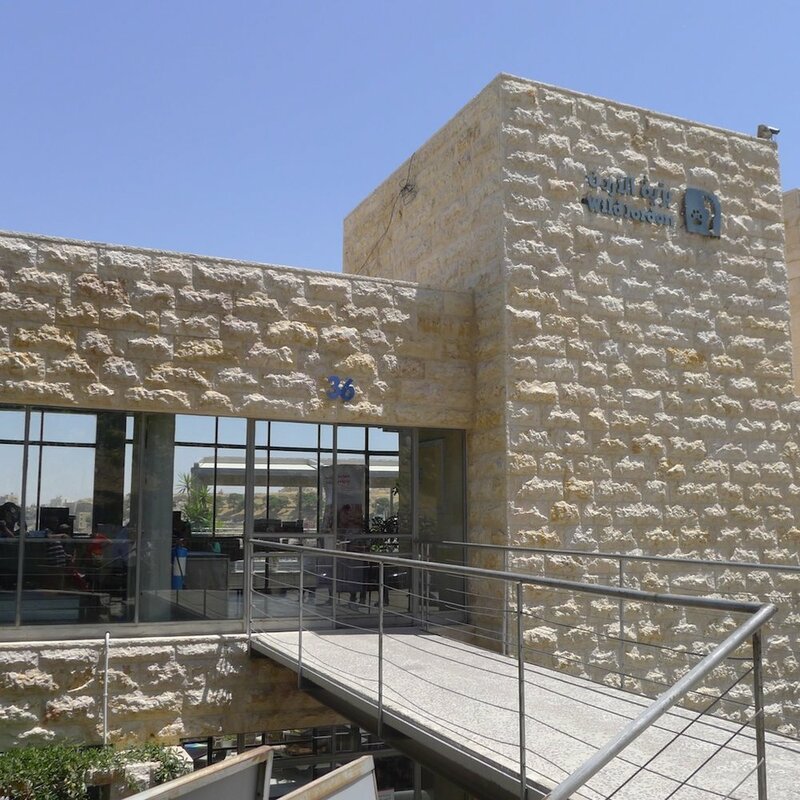 Wild Jordan Café – This was opened in partnership with The Royal Society for Nature Conservation (RSNC) to promote their six nature reserves throughout Jordan, their eco tourism projects and locally-made handicrafts that they sell from the shop here. In addition to grabbing some gifts at the shop, you can scoop up some brochures on the local eco tourism options, from camping to hiking and day-trips, or even schedule them right there. The café strives to serve healthy meals made from local products, and offers a nice selection of vegetarian options (yeah!!) and fabulous smoothies (their date smoothie blew my socks off!). 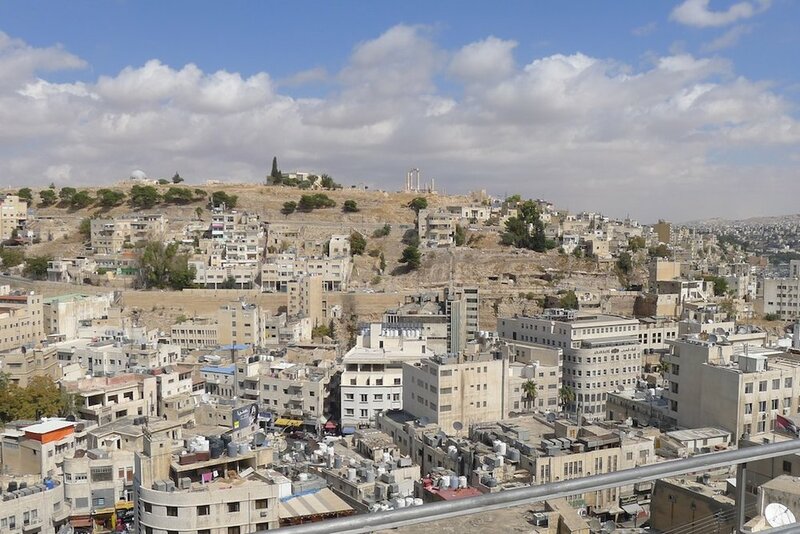 But one additional reason to go is for their view of Amman – it’s fabulous! Directly across from them is the Temple of Hercules at the Citadel; not too shabby for a lunch date. 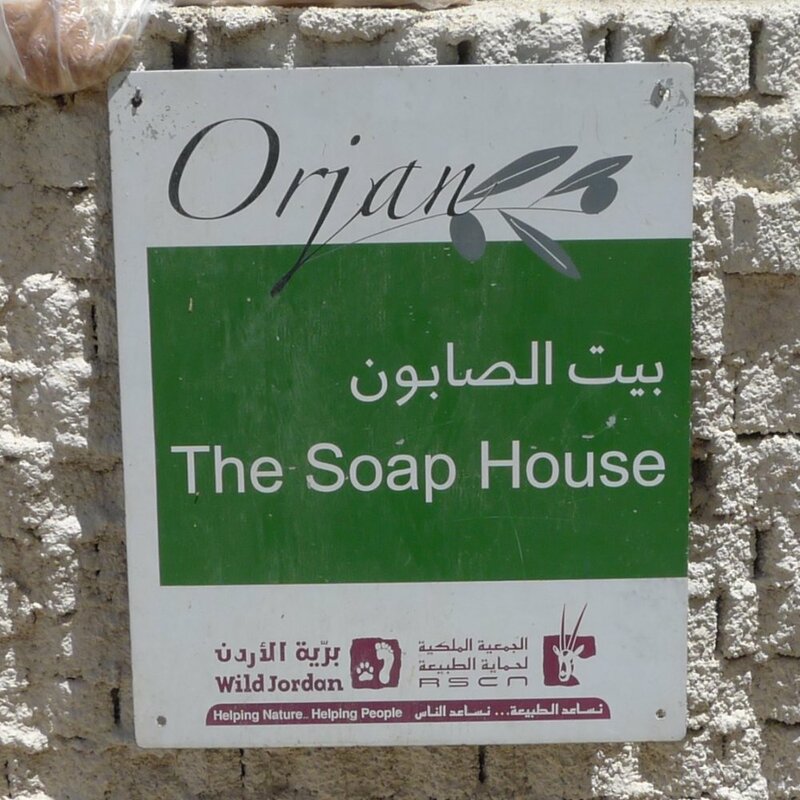 The Soap House – Orjan: The Soap House is located down near the “end” of Rainbow Street, before it bends to the left. 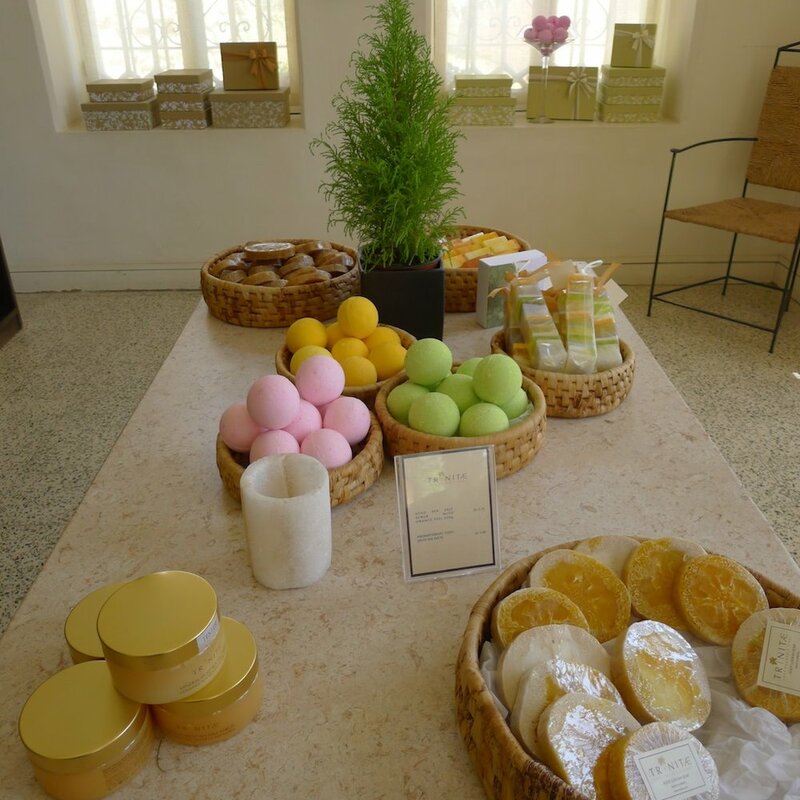 They have a lovely shop where their olive oil soaps, scrubs, oils and masks are displayed and can be smelled and sampled to your heart’s (and nose’s) delight. 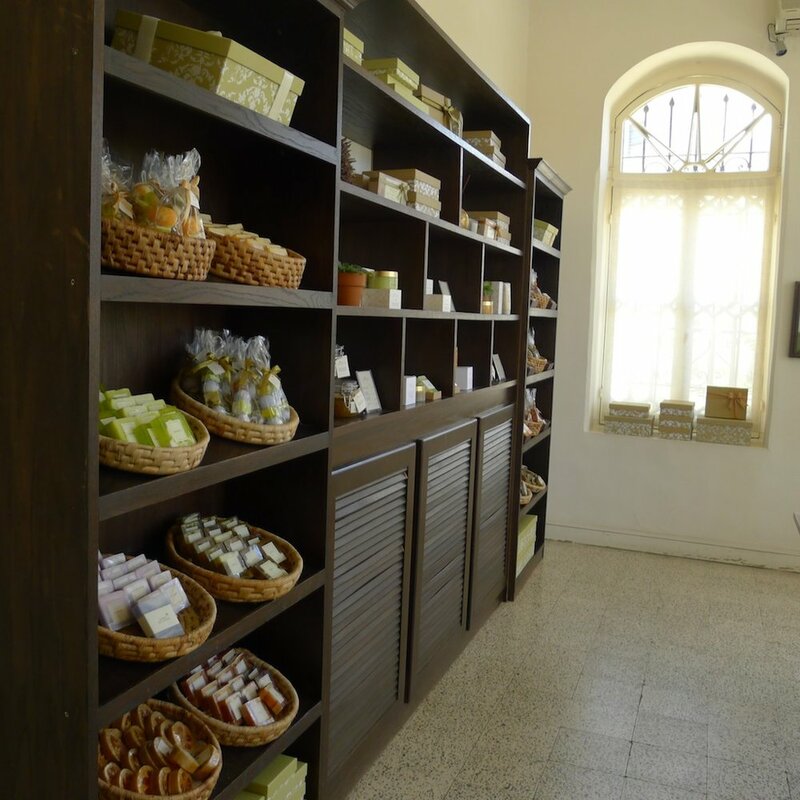 All of their products are made in Jordan and are made from local ingredients, like olive oil, lavender, cinnamon, mint, pomegranate, etc. Once your senses are thoroughly doused in all the goodness, they’ll even help you make up specialized gift boxes (for yourself or others, if you feel so inclined). 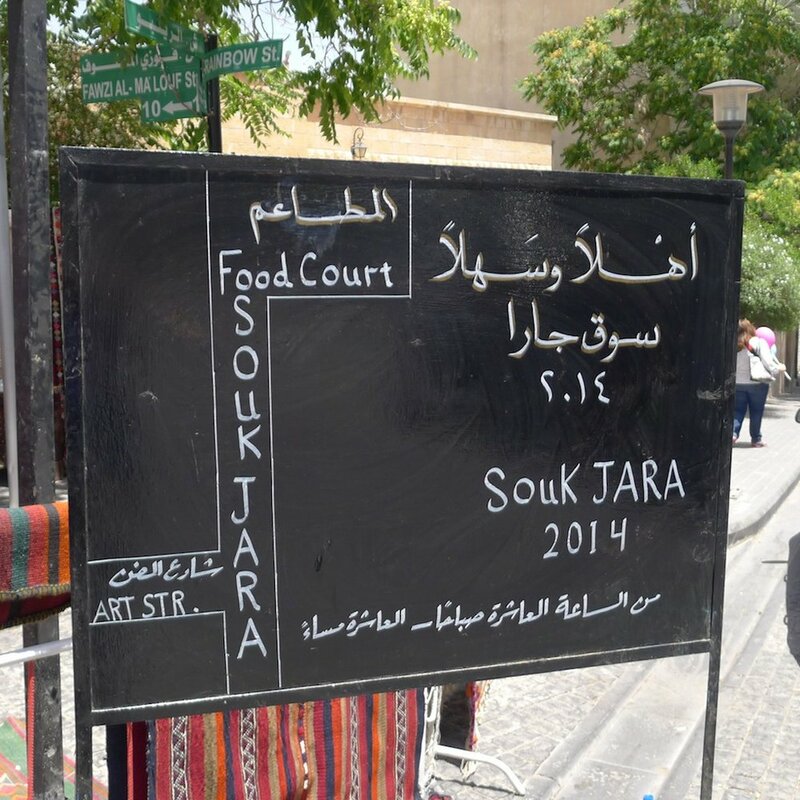 Souk Jara – This is only open during the summer months (from approximately late May through mid September), but it is open every day of the week. It’s an open-air market full of all types of fun crafts, jewelry, antiques, paintings, miscellany (i.e., I saw a California license plate for sale), food stalls, even henna painting. It’s lively and colorful and is also great for people watching. It can be accessed from Rainbow Street, or the stairs directly across from Wild Jordan Café.